For years now I have been absolutely obsessed with eyebrows. For me the motto is the bolder the better. Which means that over the years I have accumulated quite a collection of eyebrow products, so I thought I would give you the rundown on what my favourite products are. When I went to beauty school as some call it I had never made any kind of attempt with my eyebrows in the past. I am a victim of over plucking and butchering my eyebrows with the tweezers when I was growing up, so I just always ruled out ever having eyebrows like Cara Delevingne. So, I used to put on my full face of makeup, I even used to get foundation accidently over my brows. The worst part is that I never attempted to wipe the foundation off. Then I would just leave them, I wouldn’t fill them in, I would just leave them looking near enough non-existent on my face. Now, if I do all my makeup and leave my brows until last I feel like an alien until they are in place, it just makes my forehead look huge! After finally putting down the tweezers and getting my brows shaped professionally and just giving them time to grow out, I finally have big bold brows to be proud of. But I did do some lasting damage which means that I do have to fill my brows in. I got this brow product because I saw that Rosie-Huntington Whitley used it, so naturally if that gorgeous lady uses it then I had to try it straight away. I got it and I have to admit that I really love it. It is quite a hard texture but when I apply it with different amounts of pressure it gets my brows to just how I want them to look. I am in love with this and at the minute without a shadow of a doubt it is my favourite out of all of my eyebrow products. When I first got this product, I was really sceptical about using it. I had seen so many people who have been using this product and I have to say that it didn’t make their eyebrows look great. To me this just looked overly waxy and false and that is never the kind of look that I want to go for. But when I used this with the very fine Anastasia brow brush, and I use stroke like motions to mimic the look of hairs it looks really nice. With this product I just have to make sure that I really wipe the excess product off the brush. I think the first time I used this was on a YouTube video when I saw Charlotte Tilbury use it on Nicky from Pixiwoo. This product is meant to add fibres to your brow hairs to make them look thicker and fuller and I have to agree that it really does. This is my perfect lazy day product. If I don’t have the time to fill my eyebrows in properly I will just reach for this. It has a nice dark brown tint to it and it keeps my brow hairs in place. It even clings to the small natural peach fuzz hairs around my brows and makes them look bigger and defined. I love this stuff! I love this for using it in the front of my eyebrow. I always go for a very full and bold look for my brows, but I also like them to be very feathery and natural looking and this product is great for that. I use it with a very light hand and go stroke like motions to get the look of individual hairs. I also love that it has a spooly on the other end so it is easy to comb the product through and make it look really nice and natural. It is funny how I never really had any desire to gel my eyebrows down until I tried this product. I saw loads of people using it and trying it so I obviously had to join in the hype and give it a go. My eyebrows don’t really move and I never really have any issues with them, but when I use this I just feel like my brows are 100% finished and I am ready to go. I have realised though as my eyebrows get thicker and more full that I do reach for this even more than I did before. There you have it, my top 5 brow products. I hope that you enjoyed this post. Be sure to leave me a comment down below and let me know what your favourite eyebrow products are and I will be sure to check them out. It is a great product, I have been using it for so long now and I just love how it looks! 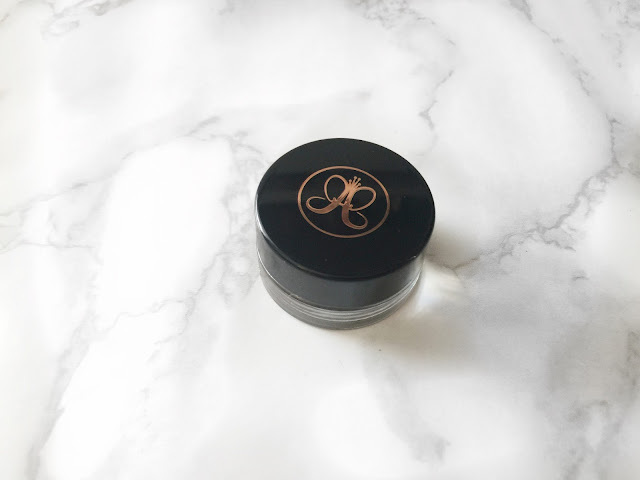 I love the Anastasia products you've mentioned! Really want to try the Hourglass now! It is such a great pencil, so smooth and creamy! I know, it is great for coating each brow hair with! Omg I love the look and sound of all of these! I'm a drugstore girl but if you like the Anastasia Brow Wiz you may like the NYX Micro brow - it looks very similar! I will have to look at that, I always love a good drugstore alternative! I love the Charlotte Tilbury Legendary Brows, I highly recommend it! So good for setting the brows and helping to add a little thickness to them!